I’m feeling itchy — I think you know what I mean. This is probably what a headhunter like you looks for in a job candidate for your clients. Someone who is ready to move! I’m happy at my job at this company, but I’m wondering if something better is worth jumping ship for. But then I realize how good I’ve got it here. How do I know whether I should stay? This question is more common than some people might think — it’s natural to ask it again and again during your career. Since I’ve already covered it in one of my books, I’m going to reprint the pertinent section. I hope it helps you work this out! From Fearless Job Hunting, Book 1: Jump-Start Your Job Search, pp. 11-12. Why should I stay at my current company? Question: I’m considering leaving my company. I’ve been pretty happy here and the company has been good to me. Now there are some good opportunities I’ve learned about that would pay better. But I’m worried about “the grass is always greener” effect. That is, my current company and job might in fact be the best thing for me. How do I go about evaluating what I’ve got here? Nick’s Reply: You’re smart to consider this so carefully. I’m convinced that the most common underlying reason for job change (whether as a result of employee dissatisfaction, or downsizing) is that people take the wrong jobs to begin with. Sometimes they jump to a new job without good reason. The key to success is to judge any company — including your current one — by its people, its products, and its reputation. Credibility. Your reputation and credibility are probably well-established. You don’t have to waste a lot of time and effort proving yourself to your employer. You can focus on being productive. Your credibility also positions you for internal career growth, so go talk to your boss. Culture. You understand and can work within the culture and politics. You’ve paid your dues. In a new company, you’ll have to learn all over again how to navigate the system. Efficiency. You’ve probably got your work organized well enough that you’re working efficiently and without working any more hours than necessary. In a new company, you will of course learn new things, but probably at the cost of a longer work day. Community. You have established solid friendships and working relationships. It’s good to meet new people and learn new ways of doing things, but there’s also something to be said about being part of a solid community. Seniority-based benefits. You have been around long enough to qualify for a pension program and other seniority-based benefits. For example, there’s often a significant delay before you can participate in a new employer’s 401(k) plan. That can cost you a lot over the years. If you’ve held your job for several years, you probably get several weeks’ vacation each year. Changing employers may reset your vacation time to two weeks. Before you accept an offer elsewhere, make sure you know what you’re giving up and what you’re getting into. Be ready to accept the price, or enjoy what you’ve got. If your desire for something new is stimulating your interest in changing jobs, consider changing jobs internally. 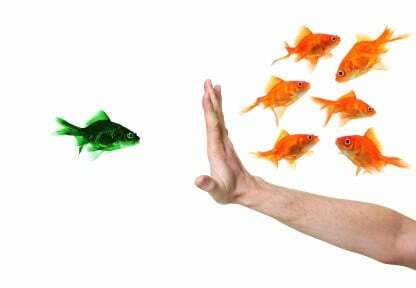 Staying with your employer doesn’t mean you must stagnate. You can begin an aggressive campaign to change jobs without changing employers. Can old experience win a new job? 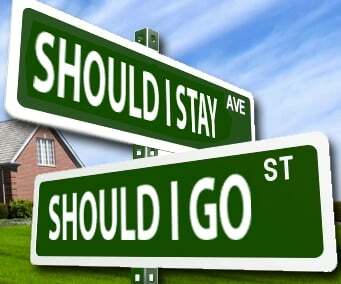 Why should I stay at my company? How do I say I got fired? How do I explain being unemployed? Why can’t I keep a good job? How can I change careers mid-stream? PLUS: 9 sidebars packed with advice to give you the insider’s edge! To pick up where the reprint leaves off, if you’re considering changing jobs internally, check out JHBWA (Job Hunting By Wandering Around). That new opportunity might be nearer than you think — with virtually no competition. There are of course many more factors to think about before you jump ship, but these are some that I think are easily forgotten. When the itch to move comes upon you, what do you do? What other factors do you consider? How do you evaluate your options? For more Ask The Headhunter resources, please check the website and the bookstore. Sign up for the free weekly newsletter — and join us here to whack a mole no matter what the topic is! If you’ve got more questions, comments, or just want to hash through the topics we discussed, please post them here. I’ll do my best to reply, and I invite the Ask The Headhunter community to pile on, too — their insights are usually better and more incisive than mine! Reddit AMA (Ask Me Anything) – It’s ON again! 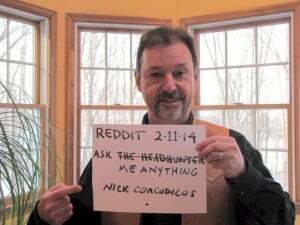 Join me today, February 11, 2014 for a special Ask The Headhunter Reddit AMA — Ask Me Anything — at 1pm ET. We’ve done “open mic” on the Blog before, where you pound me with any and all questions, and I try to pound my keyboard and tackle them all without passing out. But this is something new — I’ll be answering questions throughout the day, and I hope we’ll attract some new “regulars” to Ask The Headhunter! What’s up with clueless interviewers? What about interviewers who haven’t read your resume? An interviewer asked if I have done any programming, when my resume clearly states that I’m a programmer. Sometimes I’m asked if I know this software tool or that one. If I did, I would have listed them on my resume! I can learn new tools quickly, but they don’t want to hear it! What is up with interviewers who ask questions that are answered clearly on my resume, and who want a perfect match of skills? It means that the interviewer either didn’t read your resume, or is at a loss for what to ask. Just the kind of person I’d love to work for — someone unprepared! Some managers will argue that they are very busy and don’t have time to review a resume carefully before they meet you. Yet they expect you to be well-prepared for an interview. This is a sign of a lousy manager. Should an interviewer expect that you listed every relevant fact on your resume? Sorry, no. I can’t assume you listed everything on your resume. Or, I may be initiating a discussion about a specific detail. “Do you know this tool?” might be just another way of asking, “Tell me about your expertise with this tool,” and that is a legitimate question. The fundamental problem, of course, is that many managers are not good at assessing a job applicant. Other than ticking off buzz words from your “skill set,” they have no idea how to judge whether you can ride a fast learning curve without falling off. 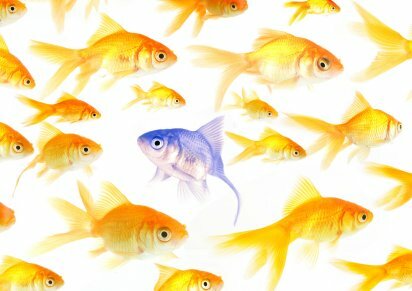 Why do you think there’s such a “shortage” of qualified technical people? It’s mostly nonsense. Anyone can hire an employee who can do one particular task today; that is, a person who has been doing exactly that work at his old job. But it takes a good manager to hire and coach a good employee who can master new tasks that come along. That will tell you a lot about whether the manager knows how to manage talent rather than just skills. What all this means is that you, the job applicant, must find subtle ways to take over the interview so you can demonstrate that you’re the profitable hire. This article can help you get started: The Basics: The New Interview. If you really want to wow the interviewer without resorting to silly tactics recommended by some of the “experts,” try this: “The Single Best Interview Question… And The Best Answer.” Caution: This is a lot of hard work. But, then again, so’s that great job you want, right? 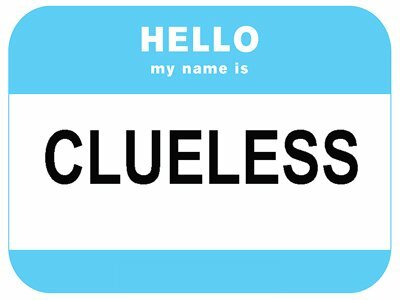 Do interviewers behave like clueless dopes? How do you raise the bar when you interview? And, how do you avoid having your time wasted? Join me today, February 4, 2014 for a special Ask The Headhunter Reddit AMA — Ask Me Anything — at 1pm ET. I’m doing this in cooperation with my good buddies at PBS NewsHour, where I produce a weekly Ask The Headhunter feature. Will Ferrell is doing an AMA at the same time. You could skip his, but try to be polite and ask him a question, too. We’ve done “open mic” on the Blog before, where you pound me with any and all questions, and I try to pound my keyboard and tackle them all without passing out. But this is something new — I’ll be answering questions througout the day, and I hope we’ll attract some new “regulars” to Ask The Headhunter!